Monday: Erica Vetsch talked about what goes on a One Sheet. Lorna Seilstad graciously offered a free One Sheet Design Package to one commentor. The winner of the prize is: RMGarrick! Tuesday: We welcomed Sherri Shackleford and her thoughts on Continuities. Her winners are for the ebook copy of Legacy of the Heart 1) Jubilee Writer, 2) kaybee, 3) Lee-Ann B and the winner of the ebook and mug is Vince! Wednesday: Melanie Dickerson encouraged us to Write Confidently and from the Depths of Your Heart. Breanna Theobald and Amy Anguish will each receive a hardcover copy of The Orphan's Wish. Thursday: Where Oh Where is Sandra Leesmith? Do you know the answer? The winner of a bunch of really delightful books is Winnie Thomas! Friday: Jennifer Slattery helped us understand Why Every Writer Needs A Critique Partner. The winner of an ecopy of Singing In The Rain is Ruth Douthitt! Monday: Mary Connealy kicks of the month of July. with a new release! 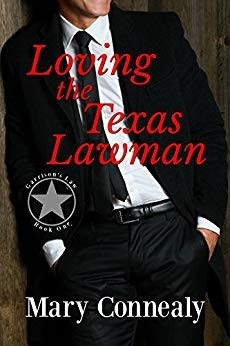 And there is a free ecopy of book #1 of her new series Garrison's Law....Loving the Texas Lawman. Wednesday: Seekerville Closed For The Holiday. Celebrate our Independence Day!! Friday: Mindy Obenhaus will thrill and inspire today (she always does)! This just in from Waterbrook/Multnomah! 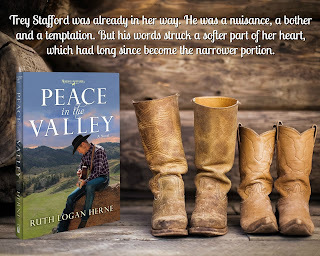 The third book of Ruthy's popular Double S Ranch Western series goes on sale Sunday, 7/1/18 for $1.99 for Kindle or Nook! A great way to get this marvelous BEACH READ at an amazing price. BUY AT AMAZON! or... BUY AT BARNES & NOBLE!!! The sale price should show up tomorrow, darlings... on Sunday! Then, after enjoying a marvelous 4th of July with family and friends or A.C. and a good book... join Ruthy at Petticoats and Pistols on Thursday for a talk about westerns, great sales, great books and why it's fun to curl up and read a book on the beach... because summer only lasts so long, dear ones! Garrison's Law begins. A family of alpha Texas lawmen (and women) bring their own brand of justice to law and order in Texas. Erica Vetsch will be at the Dodge County Historical Society Museum on Saturday, June 30th, signing books and chatting about history with folks during Mantorville, Minnesota's Stagecoach Days. Mary Connealy's new series releases tomorrow! Detective Ben Garrison has gotten so cynical he's hurting his career, but he's the best detective they've got. He's not going to get kicked off the force, but he's low on the list for another promotion, like sub-basement low. Trudy Jennings is the youngest tenured professor at her Christian college. She'd bright and rich and successful with a string of best selling books that are Biblical truths dressed up in pop psychology language. Her answer is respond with love. Turn the other cheek. And if everyone in her life is taking advantage of her, will she's just to nice to admit it. And then a stalker is after her and Ben is on hand to protect her. Cynical Ben wants the guy in jail. Sweet Trudy wants to return kindness for evil. To protect her, Ben offers to let himself be the subject of her psychological theories. That keeps him close and as they get close ... they get closer. The 3D Book Cover Creator at DIY Book Design (Thanks to Heidi for this link). Six Tips on Writing from John Steinbeck by Maria Popova at Brain Pickings. finalists for the 2018 Carol Awards. The winners will be awarded during the gala awards dinner in Nashville as part of ACFW’s annual conference. Happy 4th of July from Seekerville!! Happy weekend, Seekerville! I'm working early today (early even for me!) because the thought of 95 degrees and farm work doesn't make the short list. But it does get me into writing early so I can hit the chrysanthemums with water before it's too crazy hot. I love the exercise... but I'm a big wuss in the heat, and I will happily admit it! Congrats to the winners... And a happy and blessed weekend and huge vacation week to so many! Summer is here. Let us rejoice therein! Erica Vetsch, I would have a ball at Stagecoach Days!!! That sounds like So Much Fun!!! Fabulous links, liked the stages of critique one, and of course Steinbeck always has something good to say. Hot here too, getting outdoor work done early, going out in a few minutes to chase air conditioning. We have it, but I'm hoping to spend the day somewhere where it's better. Congratulations to the winners. I wish everyone a safe and happy weekend! Congratulations to all the winners! YAYAYAYAY!! It's going to be high 70s here in Colorado today - just today - then back up to the mid to high 90s. OMG, give me freezing temps and let me bundle up!! Audra, I'm so sorry about the wildfires that seem to b springing up all over your state. I know that mountain arid is prone to it, but gosh... I still hate to see it. Praying for safety for all. It's Canada Day tomorrow so we get a long weekend. I guess y'all just get Wednesday off...no long weekend? Well, anyway, happy holiday week to us all. Wow! 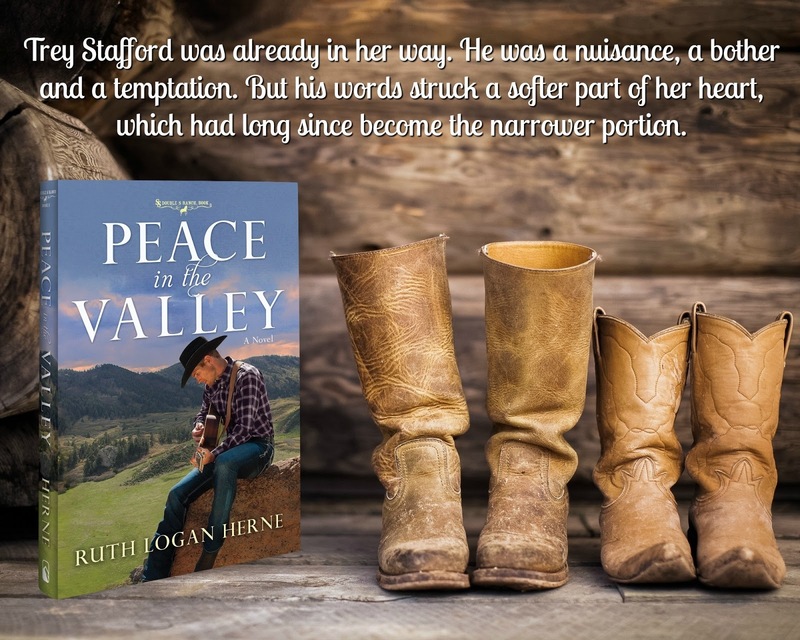 The cover of "Peace in the Valley" takes me back to the days of Gene Autry, Roy Rogers, twenty-five cent Saturday matinees, and a world where white-hatted heroes could sing with six strings as well as sling a six-gun. However, those who wait will have to wait a bit longer…as remuneration still resides up with the high plains drifter! Fret not: patience is a virtue. Vince, this is so funny. They specifically e-mailed me on Friday to tell me the promo was starting today... And yet... OOPS! Let's hope so, my friend! They had it...now I got it! The 4th Can Now Start with a Bang! Happy Weekend, everyone. Congratulations to the Carol Award Finalists. Oh my gosh, so many talented writers finaling in the Carol Awards! Congratulations to all of you! And how fun to see a bunch of indie and hybrid authors' stories in the mix. Well done, writers!